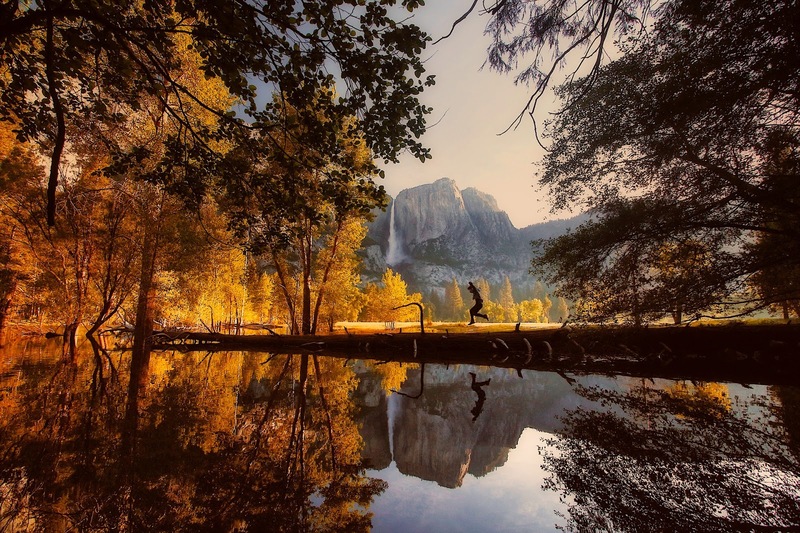 Yosemite National Park in Northern California is one of the United States' most scenic and famous national parks. Yosemite National Park is in California’s Sierra Nevada mountains. It’s famed for its giant, ancient sequoia trees, and for Tunnel View, the iconic vista of towering Bridalveil Fall and the granite cliffs of El Capitan and Half Dome. In Yosemite Village are shops, restaurants, lodging, the Yosemite Museum and the Ansel Adams Gallery, with prints of the photographer’s renowned black-and-white landscapes of the area. Peak season is in summer (Jun–Aug), when days are warm and nights are chilly. Spring (Mar–May) is the best time for viewing wildlife and the waterfalls, while winter (Dec–Mar) is prime time for skiing, snowboarding and snowshoeing. Annual events include Spring Fest (Yosemite Ski & Snowboard Area, Mar), celebrating the end of ski season; and the Bracebridge Dinner (Dec), a Tudor-style Christmas feast in the Majestic Yosemite Hotel’s dining room.